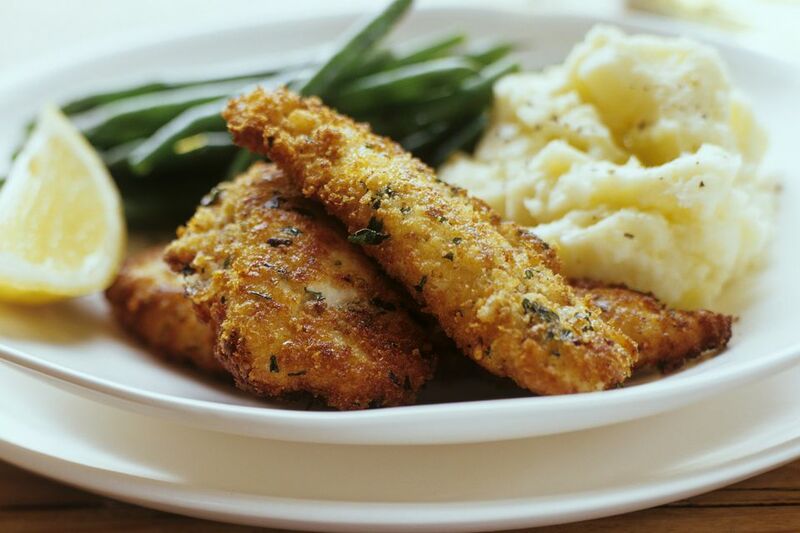 This delicious and easy baked chicken recipe is a simple Parmesan and bread crumb coated chicken with a surprising and tasty butter and Italian dressing drizzle, baked to perfection. For extra flavor, use garlic seasoned or Italian seasoned breadcrumbs. Make this baked chicken for any night of the week, or serve on a busy weekend. Serve it with hot cooked rice or angel hair pasta with a little marinara, and a tossed salad or sliced fresh tomatoes. Dip the chicken breasts into the beaten eggs. Coat the chicken thoroughly with the breadcrumb mixture. Drizzle the chicken breasts with salad dressing and then drizzle with the melted butter. Bake in the preheated oven for 45 minutes, flipping halfway through.